Tallahassee Magazine will host their 2014 Tallahassee Top Singles Event on August 23 at 7pm at Hotel Duval. This event is designed to raise money for local Tallahassee Charities. After a night of food, drinks, music and fun, participants will have a chance to bid on a date with one of the Tallahassee Top Singles. These singles will also compete to promote and raise money for their chosen charities until the day of the event when the winners with the most donations will be announced. The Jewelry worn by the Tallahassee Top Singles is provided by the Gem Collection. 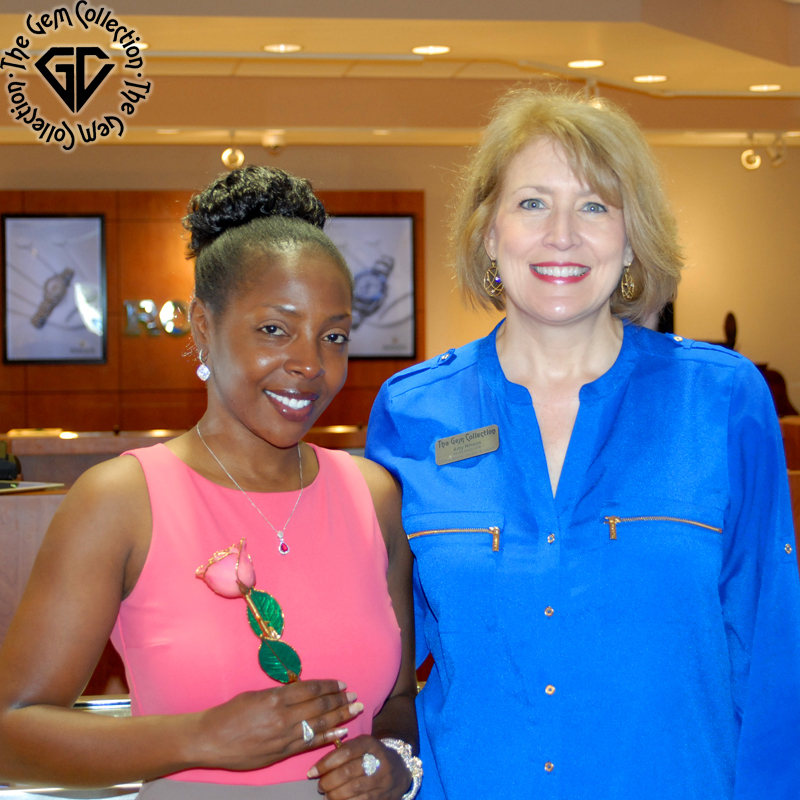 Pictured below is Tallahassee Top Single, Dedra Mitchell with Gem Collection Sales Associate, Amy Hinson. To view more information on the Tallahassee Top Singles Event, view profiles of the Tallahassee Top Singles, or donate to their charities, please visit the Tallahassee Magazine 2014 Top Singles Event Page.